Behold, the days come, saith the LORD, that I will make a new covenant with the house of Israel, and with the house of Judah…..I will put my law in their inward parts, and write it in their hearts; and I will be their God, and they shall be my people. The opponents of the first Friends proclaimed that sin was inescapable in this life and that only the elect would be saved after death. To Friends this was blasphemous because it denied the universal saving work of Christ. They asserted instead that it was possible to establish God’s kingdom on earth now. This belief was based on their understanding of the nature of the new covenant brought by Christ. The early Quaker experience of the spirit being poured out led them to believe that the message of the new covenant brought by Christ was being restored, having been lost for 1600 years. George Fox proclaimed that Quakers were entering into the new covenant prophesied by Jeremiah. Quakers recognized that the outward forms of the law and the letter of scripture were consistent with God’s witness. However, they believed that although these made people aware of sin, they did not provide the power needed to overcome it; only the unmediated spirit of Christ could do this. Early Friends believed that Christ had established a new covenant. He was the all-powerful saviour who had returned in spirit to teach his people himself, to reclaim them from the religions of the world, to undo the effects of the fall and restore them to perfection. Following the Epistle to the Hebrews, early Friends saw Christ as the substance and fulfillment of the shadows, figures and types of the old dispensation. The outward forms of the old covenant (e.g. temple, priesthood, law) had all found their fulfillment in Christ. The scope of the new covenant was broadened from ‘outward Jews’ to ‘Jews in Spirit’ and a focus on the outward and natural was replaced by a concern for the inward and spiritual. As the first covenant was ended by the outward incarnation of Jesus, so the second covenant was entered through the inward incarnation of Christ in all who would receive his light. Christ had restored the line of communication between God and humanity and his covenant was at once eternal because it came from God and temporal because it was made manifest in particular people located in history. For Quakers, the millennium was within, attainable immediately by all people. Human limitations could be transcended by God’s power working within them. The kingdom of God was like a pearl to be found within all. The true covenant was something carried within each individual that gives birth to a life of righteousness. For early Friends, the standards of the new covenant were the standards that had existed before the fall and the coming of the Mosaic Law. These were exemplified in the teachings of the Sermon on the Mount. Mainstream Christianity has tended to deny the possibility of living the Sermon on the Mount in this life. Those seeking to follow this standard have either been persecuted or directed to the monastery. Friends believed that this view represented an ‘old covenant’ approach focused on an outward law and letter that did not have the power to liberate from sin. If the possibility of a fundamental transformation of the human condition is denied, if the way of Jesus can only be realised after death and if there is no liberation from sin in this life, then the promise of God’s shalom is forever deferred. For those with wealth and power this is a convenient position to take since it permits a lower ethical standard and justifies the violence, inequality and injustice of the fallen world. This Quaker understanding made a clear distinction between the outward weapons of the old covenant and the inward spiritual weapons of the new covenant. The inward sword of Christ’s spirit would conquer all inward enemies that hinder the coming of God’s kingdom. Fox believed that Quakers were showing the way to a new covenant of light and peace in which the outward sword would no longer be necessary. However, until this covenant was complete (i.e. when Christ ruled in all hearts) he recognized that the lawful force of government was required to control and punish evil (i.e. the policing and judicial function). 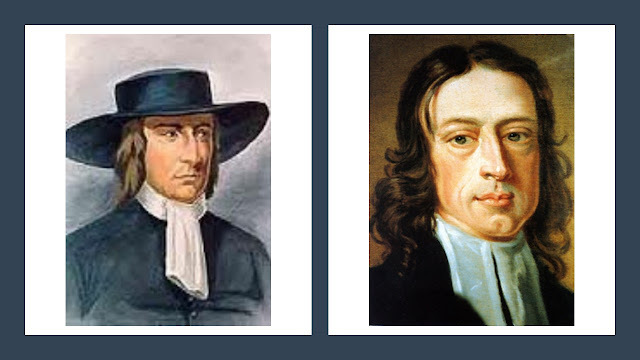 Guiton, G (2005) ‘Growth and Development of Quaker Testimony 1652–1666 and 1960-1994: Conflict, Non-Violence and Conciliation’ (Edwin Mellen Press). Weddle, M. B. (2001) ‘Walking the Way of Peace: Quaker Pacifism in the Seventeenth Century’ (Oxford University Press). Wilcox, C. (1995) ‘Theology and Women’s Ministry in Seventeenth Century English Quakerism’ (Edwin Mellen Press).